I recently read Wilderness and the American Mind, Roderick Frazier Nash‘s influential landmark survey of the intellectual history of wilderness in the U.S. In the Epilogue of the fourth edition, Nash muses on possible futures for wilderness and explains why the attitudes and rationales that led to the preservation of wilderness in the past may not hold up going forward. “Ecocentric” arguments for wilderness preservation, which are rooted in ethics—rather than aesthetics, politics, or economics—are becoming increasingly important. Such a shift in conversation necessitates an intellectual and moral transformation of attitudes about nature. This is something I’ve been thinking about for a while, and Nash’s ideas have stimulated me to further contemplate how music might support the ecocentric perspective. The preservation of wilderness has been justified by benefits to humankind rather than the intrinsic values or rights of other life forms. Throughout Wilderness and the American Mind, Nash explores the arguments that have been made in support of wilderness preservation since the 19th century. While these have changed with shifting social, political, economic, and intellectual climates, throughout the relatively recent history of nature conservation people have recognized and responded to primarily “anthropocentric” rationales. In other words, the preservation of wilderness has been justified by benefits to humankind rather than the intrinsic values or rights of other life forms. Nash describes how the people who envisioned the founding of Yellowstone, the first national park (established in 1872), wanted to protect the area for its scenery and natural “wonders.” These men essentially saw the land as a naturally-formed work of art whose highest purpose would be to serve the inspiration and entertainment of tourists. This view has persisted in many ways, but was subsequently joined by other anthropocentric rationales for preservation that have held varying degrees of weight in different situations. 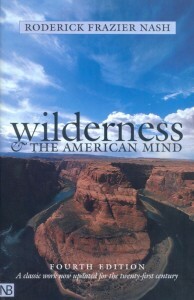 These rationales have included the physical, spiritual, and psychological benefits of nature experiences for an overworked, over-civilized, urban society; the economic benefits of nature tourism (which, in many cases, outweigh the benefits of alternative uses of the land and animals); and the nationalist view of the “wilderness experience” as part and parcel of American heritage and national character, which future generations have a right to experience for themselves. 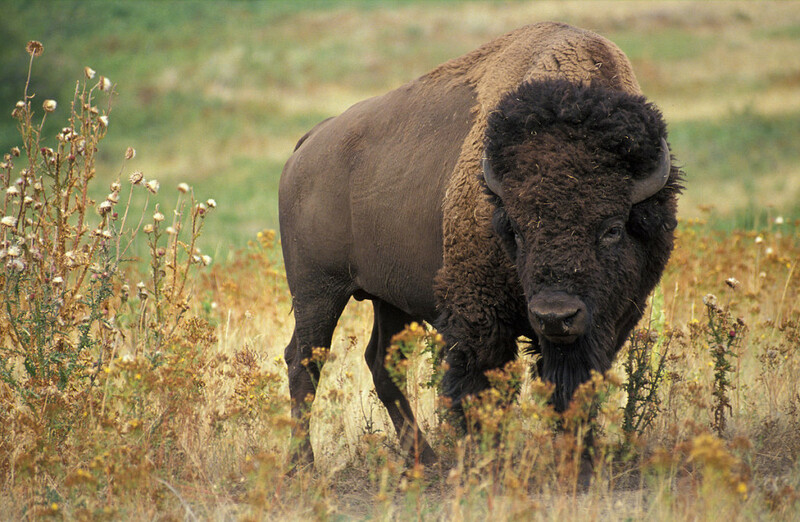 America bison. Source: Wikimedia commons. The existence of wilderness is valuable not only in itself, Nash argues, but also to trigger a much-needed change of perspective: “Wilderness can be an intellectual and a biological starting point for putting human needs into ecological balance with those of our fellow travelers on spaceship Earth” (p. 389). Accordingly, Nash notes that, with the emergence of “environmental ethics” at the end of the 20th century, “there was a growing realization that of all the forms of pollution, that of the mind was the most serious. Correcting it meant changing values and attitudes, and wilderness was of major help here not only ecologically but intellectually as well” (p. 390). Perhaps new kinds of artistic interpretation of wild landscapes today can encourage new kinds of actions. This view confirms part of why I believe it is worthwhile to create art that celebrates wilderness, and which might be able to “convert” more people more fully to an understanding of the intrinsic value of nature. Despite the lack of need for publicizing national parks—considering the overcrowding of tourists in some National Parks (Nash describes in Chapter 15 how, since the 1960s, the parks have been at risk of being “loved to death”), which itself threatens preservation—I feel that art and music may be highly compatible with the intellectual transformation necessitated by the ecocentric view of wilderness. 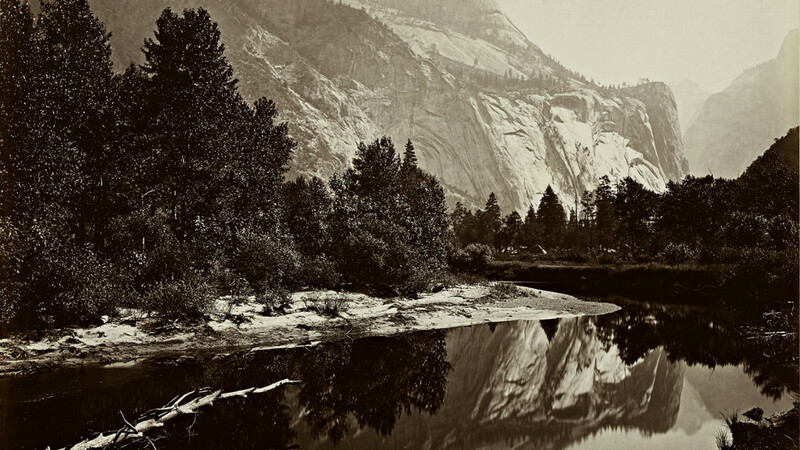 Just as the photographs of Carleton Watkins are thought to have helped convince Abraham Lincoln and the U.S. Congress to pass the Yosemite Grant Act in 1864, perhaps new kinds of artistic interpretation of wild landscapes today can encourage new kinds of actions. As I’ve noted before, art is itself an expression of human perspectives on the world and may be inescapably, inherently, anthropocentric. However, if what is most needed is to change minds about the rights of nature—which, Nash proposes, is the conclusion of environmental ethics—then art may act as an aid and amplifier for what wilderness has to tell us. For more musings on how art might impact humanity’s views of nature, read why Landscape Music is more important than ever. This entry was posted in essays and tagged environmental ethics, recommended reading, the role of art by Nell Shaw Cohen. Bookmark the permalink.